As educators, we face many challenges as we decide which methods are best for organizing and delivering instruction to diverse populations of students. The strategies and methods we use play a critical role in developing successful instruction in diverse classrooms. How we decide to teach is important for all learners, especially for students with disabilities, students from culturally or linguistically diverse backgrounds, and students who are different in other educationally relevant ways. For these students, it is especially important that we maximize their opportunities to learn by using instructional strategies that correspond to their unique learning needs. In this chapter, we will discuss the first element of the MMECCA framework, the METHODS of instruction. The key to success in diverse classrooms is selecting and implementing powerful instructional methods that simultaneously address a variety of different learning needs. Some of the methods that have worked well within our classrooms include multiple intelligences, cooperative learning, tiered lessons, learning centers, and graphic organizers. Figure 1.1 shows how each of these methods reflects ideas associated with differentiated instruction, universal design, sheltered instruction, and multicultural education. The next section will describe each of these methods and provide specific examples from classroom scenarios. The theory of multiple intelligences developed by Howard Gardner (1999), co-director of Harvard's Project Zero, is used extensively in educational settings. In essence, the theory states that we, as humans, have unlimited "bio-, neuron-, and psychological potential for knowing, for acquiring information, [and] for understanding" (Lazear, 2001, p. 202). According to Gardner (1999), intelligences are the skills and abilities we need to solve problems, create effective products, or provide services that are valuable in one's culture. Currently, Gardner has identified eight intelligences—(1) linguistic, (2) logical-mathematical, (3) musical-rhythmic, (4) visual-spatial, (5) bodily-kinesthetic, (6) interpersonal, (7) intrapersonal, and (8) naturalist. An additional intelligence, existentialist, has been cited by some (Kellough & Kellough, 2007), although Gardner has yet to confirm it as the ninth intelligence. We have included it for your consideration. Figure 1.2 lists each of the intelligences and shows the range of characteristic abilities and talents that students can have. Given what we know about the theory of multiple intelligences, we can see its potential for increasing success with all students, especially struggling learners (Zwiers, 2004). By using the theory of multiple intelligences, we can determine students' learning strengths based on how we present concepts and ideas in the classroom. This person has the ability to move through space effectively, learns well with movement, and can imitate movements easily. This person understands his or her own ways of knowing and learning and is in tune with his or her own needs. This person reads others well, works well in groups, and interacts effectively with other people. This person manipulates words and language easily, understands what he or she reads, and enjoys verbal interactions. This person manipulates numbers and logic easily and understands the logical connections among concepts. This person expresses him- or herself easily in rhythm and melody and sees patterns and music in all endeavors. This person can see pleasing visual-spatial arrangements and has the ability to learn and express him or herself with visual arrangements, art, and beauty. This person values and cares for nature and living things and has the ability to classify species and grow natural things. This person has the inclination to raise and explore questions about human existence and the meaning of life. Multiple Intelligences Capacities Summary (p. 205) by D. Lazear, 2001, Upper Saddle River, NJ: Prentice Hall and Multiple Intelligences in the Classroom (pp. 6–7) by T. Armstrong, 2009, Alexandria, VA: ASCD. Adapted with permission. The following scenario shows how Ms. Smith uses the theory of multiple intelligences in her 10th grade English classroom at Meadow Brook High School. In this scenario we meet three of her students, Tranhi, Victor, and Jasmine. Tranhi is 17 years old. She and her family moved to the United States from Vietnam six years ago. Both of her parents and her two sisters work long hours in a local nail salon. Her family speaks Vietnamese at home with a smattering of English. Tranhi is personable yet shy. Her favorite times of the school day are during choir practice and modern dance class. School is very challenging for her. She is able to understand her peers, but she is frustrated by her limited grasp of the specialized vocabulary in her academic classes. Victor is 17 years old. He and his mother moved to the United States from the Ukraine last summer. His mother is trained as a nurse, but because of language difficulties and certification problems, she works as a nurse's assistant at the local hospital. In Victor's home, he is encouraged to speak English. He loves the sciences, math, and technology. He was an academically proficient student back in the Ukraine; however, he is currently struggling in his English and social studies classes because his English language skills are limited. He dreams of becoming an orthopedic surgeon. Jasmine is a 16-year-old multiracial female student. Her father is a truck driver who travels away from home most of the time, and her mother works in the bakery at the local supermarket. Of all her classes, Jasmine enjoys English the best. For Jasmine, books have taken the place of friends. She does not have a peer group. Jasmine has the potential to be an excellent student in English class, but she prefers to just get by. School does not seem to be very important for Jasmine. Ms. Smith has taught at Meadow Brook High School for 12 years. Meadow Brook is a suburban high school that has traditionally served a white, upper middle class population of students. Within the last few years, however, there has been an increase in the number of immigrant students who have enrolled in the school. Many of these students are English language learners and represent a range of different countries and languages. The religious diversity of the student population also has increased with the inclusion of students who are Buddhist, Muslim, Jewish, Christian, and many other faiths. Approximately 85 percent of the students are white, and the remaining students are African American, Asian, Indian, or Hispanic. With the increased emphasis on inclusion, more students with disabilities are also appearing in general education classrooms at Meadow Brook High School. Out of the 130 students that Ms. Smith teaches each day, 10 students have disabilities, which include learning disorders, mild mental retardation, emotional disturbance, speech impairment, and hearing loss. Despite Meadow Brook's strong reputation for academic excellence, the unthinkable happened during the last year's assessment cycle—Meadow Brook failed to make adequate yearly progress (AYP) toward established standards. The school's failure to make AYP was based on low test scores from English language learners and students with disabilities. Ms. Smith began wondering why all this "standards stuff" had to hit at the same time that the staff was charged with moving forward on inclusion AND receiving more students from culturally and linguistically diverse backgrounds. Ms. Smith knows she will have to change her game plan to be more effective with these students, but she is not sure how to do it. Ms. Smith is beginning a mini-unit on the 10th grade English standard related to naturalism. This literary movement is characterized by pessimistic determinism, which is distinguished by the belief that people have little or no control over their lives. She is excited about this unit because she believes that all of her students will be able to connect to this theme and relate it to their challenges as adolescents. Before beginning the unit, Ms. Smith observed her students and gave them a brief survey to determine their strengths based on the theory of multiple intelligences. Based on her findings from Tranhi, Victor, and Jasmine's results, she identified appropriate learning activities for the unit that tap into each student's strengths. As Ms. Smith uses techniques that reflect each of her students' intelligences, she also allows them to work in flexible groupings of pairs, triads, quads, small groups, and whole groups. She uses each student's strength as an entry point into the content. For Tranhi, Ms. Smith makes sure that there is a musical hook in the introduction of her content. She considers allowing the class to listen to an appropriate selection by Wagner or a Vietnamese selection that creates a mood of uncertainty and dread. For Victor, she creates a problematic perspective that involves an athlete with an artificial leg wishing to play in the World Cup games. Finally, for Jasmine, Ms. Smith links popular culture to the concept of naturalism. She brings in various photographs of young pop idols and asks Jasmine to identify the physical characteristics that help or hurt their careers. After a small-group discussion period, Ms. Smith brings all the students together, asks them to identify the common thread for all of the scenarios, and links their thinking to the planned unit. Once the students' interests are piqued, Ms. Smith continues her plans to integrate the theory of multiple intelligences into her instructional unit. She understands that while connecting students' learning to their dominant intelligences is important, students also need to experience other ways of receiving information so that they can have opportunities to enhance their less dominant intelligences. By weaving different intelligences into her instructional methods, she exposes all of her students to diverse ways of learning. As you begin this approach, it is helpful to use assessment strategies such as student interviews, questionnaires, or observations to discover your students' strongest intelligences. Examples of these assessment tools are discussed further in Chapter 6. You can begin this assessment process by first targeting the students who struggle most and then moving on to other students as time allows. For your professional growth, use the grid in Figure 1.3 to analyze your current teaching methods with respect to the theory of multiple intelligences and see which intelligences you use the most. You could also use this grid to reflect on your last week of instruction and indicate how you utilized each of the intelligences. In many instances, we tend to emphasize verbal-linguistic and logical-mathematic skills. If you find that this is the case for you, gradually incorporate other intelligences into your repertoire. Begin with the intelligences that are strongest for your students. It is not necessary to address all of the intelligences in every lesson. However, it is appropriate to strive to address each intelligence at least once a week during instruction. It is important to make sure that how you address each intelligence is not superficial or tangential to the learning at hand. For example, telling students to stand while they read is not a strong example of incorporating bodily-kinesthetic learning opportunities. The act of standing does not help the student learn how to read. If you are teaching a unit on the circulatory system, a better example of a bodily-kinesthetic activity would be to allow students to simulate walking through a human heart. Students can create a very large diagram that shows the various chambers of the heart. This diagram can be placed on the floor. Small groups of students can then walk through the chambers in the diagram to gain a greater understanding of how the blood flows through the heart. This activity would be more beneficial to students because movement is used to reinforce the concept being taught. Remind students that the theory of multiple intelligences helps them focus on "How you are smart," not "How smart are you?" Everyone has relative strengths and weaknesses. It is important for all students to have opportunities to work through an intelligence that is not their current strength. For some students, their lack of exposure to a specific intelligence could be the cause of weakness. For example, if a student never had an opportunity to participate in musical-rhythmic activities, he or she probably will not be strong in this area due to lack of exposure rather than any intrinsic weakness. When encouraging a student to work through an intelligence that he or she does not prefer, select content that is somewhat familiar. It would be difficult for a student to learn new content or skills through an unfamiliar intelligence. Positive interdependence. Learning activities are structured in such a way that students are required to depend on one another to successfully accomplish a task. The success of the whole group depends upon the performance of each group member. Face-to-face interaction. Each activity requires extended time for students to interact directly with each other. Individual accountability. Each person can be evaluated and held accountable for some specific element of the task. Social skill development. In addition to the academic content being taught, social skills are incorporated into students' learning. There are a variety of techniques that teachers can use to incorporate the defining elements of cooperative learning into group activities. You can assign specific roles to each student in the group, such as scribe, reader, encourager, or illustrator. Students then have the opportunity to rotate through these roles during different cooperative learning activities. Assigning roles helps students develop positive interdependence and individual accountability. Group Projects. In the group projects format, each group is assigned to a specific task and each group member has a specific role (Sharan et al., 1984). Each role is essential to the overall success of the project. Jigsaw. Through the jigsaw format, students work first in "expert teams" to learn content about different topics in-depth and then teach it to other students. Next, the teams are reconfigured so that one member of each expert team forms a second round of groups. Each member of the reconfigured groups is then responsible for sharing with new group members the content that they mastered in the expert team (Slavin, 1994). For example, a social studies teacher decides that her students will focus on a unit about the branches of government. One expert team may focus on the legislative branch, another on the judicial branch, and a third on the executive branch. When the teams are reconfigured, one member of each expert group forms a second round of teams. These teams then work together to teach one another how the three branches of government function. Student Teams Achievement Divisions. A teacher gives each of her students a pre-test on selected content. Then, students form groups and assist one another in studying for a quiz on the content. Next, the teacher gives another round of individual quizzes, and each student earns points for the team based on his or her improvement from the pre-test (Slavin, 1994). These formats provide structured face-to-face interaction among students and help facilitate positive interdependence. For example, in the jigsaw format, students must depend on fellow team members to accurately present the content they learn in expert teams. Students also use these same interdependence skills in the student teams achievement divisions format when they are required to coach one another in learning selected content. Individual accountability is important in cooperative learning because students are responsible for specific content. Finally, teachers can also evaluate academic content through each of these models. Cooperative learning formats provide a natural laboratory for developing social skills. Social skills such as using names, communicating ideas and questions, taking turns, disagreeing amicably, and encouraging others are important skills that can be reinforced within the context of cooperative learning. Prior to beginning a cooperative learning activity, it may be helpful to do mini-lessons with your students around these skills. For example, if you have observed that your students have difficulty disagreeing amicably, then you might highlight this skill in a mini-lesson. Before the activity, you may want to discuss the fact that reasonable people sometimes disagree, and it's OK. What you do want to emphasize is that it is not OK to make personal attacks. You may decide to follow this brief discussion with role-playing activities that show appropriate and inappropriate ways to disagree with team members. This activity will allow students to practice this skill within the context of the cooperative learning activity. Evaluation is another critical element of cooperative learning that can be incorporated into your lessons in a variety of ways. You can use an observation checklist to evaluate your students' social skills (see Figure 1.4). Your checklist can include columns for each of the targeted social skills and rows for each student's name. As you observe your students, you can record appropriate or inappropriate behaviors for each item on an individual basis. You can modify this form by using different skill lists for different sets of students. Additionally, peer evaluation forms can be used to supplement teacher evaluations (see Figure 1.5). Please rate yourself and each of your team members in each area using the following scale. The following scenario shows an application of cooperative learning in Mr. Jones's 6th grade science class at West End Middle School. In this scenario, we meet four students from his class, Derrick, Maria, Shalandra, and LaMont. Derrick is a 13-year-old African American male. He lives with his grandmother and two older siblings. He enjoys social studies and learning about and working with other people. He struggles with literacy and often needs concepts repeated several times before he grasps them. Maria is 11 years old. Her family moved to the United States from Mexico three years ago. She is an only child and lives with her parents who co-own a small restaurant in the community. Spanish is the primary language spoken in her home. Maria excels in mathematics and enjoys puzzles, but she struggles with her English literacy skills. Shalandra is a 12-year-old African American female. She lives with her father and her younger brother. Her father is a janitor at a local department store. Her mother died when she was 5 years old. Shalandra is an avid reader and enjoys creative writing. She is socially mature for her age and sometimes seems aloof and uninterested in interacting with her peers. She prefers to work alone. LaMont is an 11-year-old African American male. He lives with his mother and two older sisters. La Mont's mother is unemployed. He is an excellent artist who can draw detailed and lifelike pictures. Despite his obvious intelligence, LaMont completes very few assignments and shows little interest in school. He can be noncompliant and seems angry most of the time. If he is pressured to do something that he doesn't want to do, he becomes volatile and physically aggressive. Because of these behaviors, LaMont has been identified as emotionally disturbed. Mr. Jones is in his first year of teaching at West End Middle School, and he is excited to begin his new career. West End Middle School has been described as a "hard to staff" school in the inner city and has suffered from high teacher attrition rates. There are high transiency rates among students as well. Seventy five percent of the student population is African American and 23 percent of the students are Hispanic, many of whom are English language learners. Eighty nine percent of the students receive free or reduced-priced lunches. Mr. Jones teaches approximately 150 students per day. Eighteen of these students have learning disabilities, mild mental retardation, emotional disturbances, speech impairments, or visual impairments. Mr. Jones is energized by the diversity of the students in his classes; however, he is insecure about his ability to meet their needs. Additionally, he is concerned about the fact that West End Middle School has been designated as a "failing school" because of declining test scores. The school has never made adequate yearly progress for any year that students' performance has been tracked. Consequently, if students' test scores do not improve by the end of the school year, the school is in danger of closing. Mr. Jones wonders what he can do to enhance the achievement of his diverse group of students. Mr. Jones has decided to use cooperative learning in his science classes. This learning format will embrace the diversity of his students and provide opportunities for them to support each other in learning challenging content. Although his students are 6th graders, Mr. Jones discovered that they have not been exposed to cooperative learning formats in their previous school experiences. He prepared them for cooperative learning by explaining what should and should not happen during cooperative learning, and he made time to reinforce these ideas through role-play activities. After he prepared the class, Mr. Jones used a group project cooperative learning format. Since cooperative learning would be a new experience for his students, Mr. Jones used smaller groups of three to four students to reduce the complexity of interactions among team members. Mr. Jones assembled these groups with care. He wanted each group to be heterogeneous in terms of students' skill and ability levels, ethnicity, gender, and language characteristics. Mr. Jones also avoided placing students together who he knew would not work well with each other. Mr. Jones planned a lesson based on the 6th grade standard related to exploring the earth's biomes. During this lesson students will learn about aquatic biomes, grasslands, deserts, chaparrals, taigas, and tundras. In order to meet this standard, students will need to be able to identify geographic factors in biomes (e.g., elevation, location, and climate) that cause diversity in flora and fauna. Mr. Jones's prior lessons in this unit included varied kinds of activities such as class discussion, hands-on activities, and videos focusing on the relationship of a biome's characteristics to the nature of plants and animals that live there. With this basic content in place, Mr. Jones is ready to begin the cooperative learning activity with his class. Each group was assigned to research a different biome. All groups were required to do the following: (1) construct a three-dimensional model of their biome; (2) write a brief paper that defends their depiction of the biome and states how the characteristics of the biome affect the nature of the plants and animals that live there; and (3) present and explain their model to the class. Each group member has a specific role. The facilitator leads the group's discussion about how the model should be designed and defended, the scribe writes down the group's ideas for the report, the lead builder takes leadership for building the model, and the presenter explains the model to the class. Everyone in the group is responsible for participating in the group discussions, assisting with building the model, and gathering supporting evidence for the model. This last task involved using the science textbook and the Internet to find support for the design of the model. Students had access to one computer with Internet access and one computer with the CD-ROM of the textbook. Both computers included screen reading software. Derrick, Maria, Shalandra, and LaMont were in a group for this activity. Maria served as the facilitator, Shalandra as the scribe, LaMont as the lead builder, and Derrick as the presenter. While each group worked on the assigned cooperative learning task, Mr. Jones checked each group to monitor progress, answer questions, reinforce appropriate behaviors, and troubleshoot. When Mr. Jones visited this specific group, he noticed that Shalandra seemed to be withdrawing from the group and writing the paper on her own. Mr. Jones decided to step in and guide the group in working together on deciding what should be included in the paper. He also queried individual group members to check their levels of understanding with respect to the concepts at hand. During a second visit with this group, Mr. Jones found that LaMont was really engaged in building the model, and he praised him discreetly on his efforts. During a third visit to the group, Mr. Jones found that the majority of the group had misunderstood an important concept, so he conducted a mini-lesson with the group on the topic. After the cooperative learning lesson was completed, Mr. Jones evaluated the targeted academic learning. For the academic learning, Mr. Jones created a rubric to help him evaluate the models, the accompanying papers, and the presentations. He also developed a brief pencil and paper quiz. His goal was to determine which students mastered identifying the geographic factors in biomes that cause diversity in flora and fauna. Mr. Jones also assessed the targeted social skills for each student. Because of Shalandra's and LaMont's previous emotional difficulties, Mr. Jones decided to document how they worked during cooperative learning time. Do not attempt to cover all instruction using a cooperative learning format. Instruction should include individual, small-group, and whole-group formats. Explicitly outline behavioral and learning expectations for students prior to beginning cooperative learning activities. For example, expectations regarding voice volume, specific roles in the group (e.g., scribe, lead builder), or final products (e.g., biome models) should be clearly explained to students. You can use a fishbowl technique and allow students to model these roles for their peers. In the fishbowl technique, one group of students performs a brief cooperative learning activity while the rest of the class watches. Afterward, the class discusses the groups' strengths and ways in which the group can improve based on the guidelines of cooperative learning. Am I using a quiet voice? Am I contributing to the group discussion? Am I listening to my group members? Am I staying focused on the task? Remove students from cooperative learning activities if they cannot focus on the task or are distracting others. Teachers should be prepared with an alternate learning activity that focuses on the same content in an individual format to accommodate students when they are not able to function in a group. Identify the standard that you are targeting. Determine the key concepts or big ideas that are inherent in this standard. What should all students know or be able to do relative to this standard? Determine what students already know or can do. Will some students need help gaining prerequisite skills? Have some students already mastered the basic concept? Choose what lessons you will tier and how you will tier the content, process, or product. For example, if you are teaching a lesson on measuring to the nearest half inch, you may find that some students in the class have not yet mastered this skill while other students have. You may decide to tier the content by having one group focus on measuring to the nearest inch, another on measuring to the nearest half inch, and yet another on measuring to the nearest quarter inch. You could also tier the process or the method through which students will experience the lesson. Determine how many tiers you will have and match students to the appropriate tiers. You may decide to have as few as two tiers or as many as five tiers based on the learning needs of your class. The following scenario shows a tiered lesson strategy in Ms. Wilson's 3rd grade classroom. In this scenario we meet three students from her class, Dorothy, Jim, and Juan. Dorothy is a 9-year-old white female student. She lives with her mother and two younger siblings. Her mother works as a waitress at a local pizza parlor. Dorothy's favorite subjects are social studies, music, and art. She learns best when she is working with her hands or with others. She was identified as mildly mentally retarded as a 2nd grader and has very weak literacy and math skills. Jim is an 8-year-old African American male student. He is an only child and lives with his parents, both of whom are educators in another school district. Jim's favorite subject is science and his least favorite subject is social studies. He can perform at very high levels and was recently identified as a gifted student. Jim enjoys puzzles and appears to be an analytical thinker. Although Jim is a very capable student, he does not always put forth his best effort. If the topic is not interesting to him, or if he deems an activity "stupid," he will not engage and can become a behavior problem. Juan is 8 years old. His family moved to the United States from Mexico two years ago. He lives with his parents and three older siblings. Juan's mother works at a fast food restaurant and his father works at a construction site. Spanish is the primary language spoken in his home. Juan's favorite subject is math. He also enjoys sports and is a great artist. Juan often struggles to express his thoughts in English and understand abstract concepts and academic language. His literacy skills are very low. During the 20 years that Ms. Wilson has taught at Southside Elementary School, she has witnessed increasing diversity in the student population. More than 40 percent of her students are African American, Hispanic, or Asian; 20 percent are English language learners and speak either Hmong or Spanish; and most students receive free or reduced-priced lunches. Ms. Wilson also serves two children who have learning disabilities; one child has mild mental retardation and the other has a behavior disorder. Additionally, there are two students who are identified as gifted in her class. The instructional and behavior management strategies that Ms. Wilson used with success in the past no longer seem to be working. Adding to her frustration is the fact that Southside Elementary has now been labeled a "school in crisis" because of its failure to make adequate yearly progress. With this new designation, Ms. Wilson and her colleagues are under increasing pressure to ensure that all students reach established benchmarks at the same time that the needs of the student population have become increasingly diverse. Ms. Wilson used a tiered format to design a lesson to address the 3rd grade social studies standard for identifying ways to prepare for natural disasters in the United States. She decided to focus on this standard during a lesson on tornado preparedness. Ms. Wilson began the lesson with a preview of related vocabulary. Next, general content regarding tornado preparedness was presented through a video and a class discussion. A local meteorologist visited the class to discuss tornados and safety precautions and brought in a model that simulated a mini-tornado in action. After this whole-group presentation, Ms. Wilson tiered the remaining class activities based on different tiers and learning projects (see Figure 1.6). Juan and 19 other classmates were assigned to tier 1 and were required to design posters that illustrated each of the steps to take during a tornado. After designing the posters, students in this tier paired up with a peer to explain their posters. Dorothy and four other classmates were assigned to tier 2 and worked together as a team to develop and perform a skit that depicted the steps to take during a tornado. Jim and two other classmates were assigned to tier 3 and developed PowerPoint presentations that briefly outlined what causes tornados, what steps to take during a tornado, and what kinds of damage tornados can cause. To complete these activities, students in tier 3 were required to do Internet research on specified sites to learn more about the causes and consequences of tornados. Standard: Identify ways to prepare for natural disasters in the United States. Ms. Wilson knew that Dorothy learned best by doing an activity, therefore she assigned her to the group that developed a skit. Likewise, Ms. Wilson recognized that social studies was Jim's least favorite subject, so she found a way to link it with a science concept. She also designed a learning activity that challenged Jim and extended his learning about tornado preparedness. Finally, Ms. Wilson capitalized on Juan's artistic skills and circumvented his literacy limitations by assigning him to the tier that required students to illustrate the steps to take during a tornado. As you get started with this approach, begin with two tiers for each lesson and then you can add as many as five tiers as you become more comfortable with this approach. As with other approaches, it is important to prepare students for using tiered lessons. Create a classroom climate where students understand that the assignments will be differentiated for each student based on their needs. Students should understand that "fair" means that everyone gets what they need and not everyone will get the same thing. Strategies for facilitating this kind of classroom environment can be found in Chapter 4. Learning centers should be phased in gradually if students don't have prior experience using them. Before center time begins, students need explicit instructions regarding behavioral and academic expectations. This discussion should focus on rules for appropriate behavior when working in the learning center (e.g., using soft voices when talking and sharing materials), as well as the learning tasks that should be completed. Initially, students should only go to one center for a short period during this time. After students use the center, give them a "debriefing" that includes feedback about how well behavioral and academic expectations were met. As students become more familiar with learning centers, you can phase in more complex or lengthy center formats. Likewise, pre- and post-discussions regarding the learning center process can become more abbreviated. In general, learning center activities should focus on material that students already know. If students are working independently in the learning centers, they will need to have some familiarity with both the content and format of activities. This guideline would not apply if the teacher is stationed at one of the learning centers. All materials that students will need to complete the required activities should be located in or near the center. Providing easy access to all materials will reduce the need for students to stray away from the physical location of the center. Center activities should be novel and engaging. This appeal will serve as intrinsic motivation for students to complete the task at hand. A system of accountability should be inherent in the center activity. Students need to feel that there is an expected outcome for center activities and that they will be held responsible for this outcome. For example, in one center students may be expected to complete word puzzles. At the end of center time, students should submit a completed word puzzle to the teacher. This accountability reinforces the idea to students that while center time may be fun, productivity is still expected. Learning centers can be implemented in a variety of ways. In some cases, students do not rotate among centers but remain at assigned centers for 25 to 45 minutes at a time. In this case, differentiation occurs within centers rather than between them. For example, in a high school English class with diverse students, several learning centers are set up to focus on punctuation. Four centers are set up for end punctuation, comma usage, quotations, and colons and semicolons. Students work in the same center during center time based on their punctuation needs. The teacher then visits each station to do a mini-lesson. In other learning centers, students have the opportunity to visit multiple centers during each period. When learning centers are used in this way, students usually rotate through three to five centers and stay at each for 15 to 25 minutes. Activities in each center are then differentiated to meet the needs of diverse students. The following scenario shows a learning center strategy from Ms. Wilson's 3rd grade classroom. In this scenario, we meet up with Dorothy, Jim, and Juan again and see how they interact with a learning center lesson plan. Ms. Wilson frequently uses learning centers during the 90-minute math block in her class. Because many of her students have short attention spans, Ms. Wilson likes to give them frequent opportunities to shift activities and move around the room. Consequently, when Ms. Wilson uses learning centers, she often has students rotate among them in 15-minute intervals. Although her students are familiar with this format, Ms. Wilson still briefly reviews center activities and reminds students of behavioral expectations before they begin their work. She uses pictures and other graphics to support her explanations. During center activities, Ms. Wilson moves between each center to monitor students' work and answer questions as they arise. Because of the diversity of the students in her class, Ms. Wilson differentiates activities within each learning center. She uses a color-coding system to cue students to the activities they need to complete. For example, some students may work on "red dot" activities while others work on "blue dot" or "yellow dot" activities. Ms. Wilson designed a series of learning centers to reinforce skills related to the 3rd grade math standard for solving addition, subtraction, and word problems using two- and three-digit numbers with and without regrouping. During the first rotation, Dorothy, Jim, Juan, and their classmates visited center 1 which was designed to help them practice problem solving in math. In this center, Dorothy, Juan, and one other classmate worked at a bank of three computers. Juan's computer was loaded with software featuring subtraction word problems that were read aloud in Spanish into his earphones. These were single-step word problems that involved two-digit addition with regrouping. The software saved a record of Juan's performance for Ms. Wilson's review. Dorothy and another classmate worked at the other two computers which were loaded with software featuring basic math facts that were read aloud (e.g., "I had three pencils and found two more. How many do I have in all?"). These problems were accompanied with animated graphics that illustrated the problems. Jim and three other classmates worked on task cards featuring multi-step word problems involving three-digit subtraction with regrouping. Center 2 was designed to reinforce basic facts. In this center, Dorothy and one other classmate were assigned to create a visual representation of several addition facts by gluing the indicated number of uncooked macaroni pieces underneath each problem. Initially, prompts such as ___ ___ ___ + ___ ___ = ___ ___ ___ ___ ___ were used to indicate where each piece of macaroni should be placed. In the same center, Juan and four other classmates worked with speed drills on subtraction facts. Jim and one other classmate did not work at this center because both students had already exceeded benchmarks on speed drills in both addition and subtraction facts. Instead, these two students remained at the problem-solving center and worked on making multi-step subtraction problems that were to be included in a word problem book for the entire class. Center 3 focused on helping students develop accuracy with two- and three-digit addition and subtraction algorithms involving regrouping. Juan and three classmates worked on "mystery person" worksheets in which the correct answers were coded to letters that spelled out the name of a famous African American mathematician. These problems involved two-digit subtraction with regrouping. Jim and two other classmates worked on similar worksheets involving three-digit subtraction with regrouping. Dorothy and one other classmate did not participate in this center because its focus was not developmentally appropriate for them. Instead, both students remained at center 2 and continued to work on macaroni math facts. Center 4 involved three game boards. Dorothy and one other classmate played one of these games together. This game included red problem cards with visual prompts. The cards featured problems such as 4 + 1 = ___. With the correct answer, each player rolled the dice and advanced their playing piece on the board based on number indicated. Each player recorded the problems that they missed on a separate sheet. Juan and three other classmates played on a second board game using blue cards that featured two-digit subtraction problems with regrouping. Finally, Jim and one other classmate played on a third game board using yellow cards that featured three-digit subtraction problems with regrouping. After center time, Ms. Wilson reviewed the student work from each center to assess student progress. This assessment allowed Ms. Wilson to provide feedback to students and plan for the next steps in their learning. In this example, you can see how Ms. Wilson applied learning centers in a manner that reflected a variety of learning styles. While centers 1 and 3 emphasized more analytical and procedural activities, centers 2 and 4 involved more physical activity (e.g., "macaroni math" and game boards). Although each center had a specific focus, activities within each center were developmentally appropriate for each student. For example, in the problem-solving center, Dorothy worked on one-step addition word problems with single-digit numbers while Jim worked on multi-step subtraction word problems with three-digit numbers and regrouping. The concept of "a picture is worth a thousand words" comes to life in the flexible and multidimensional strategy of graphic organizers. Gunter, Estes, and Mintz (2007) define graphic organizers as "visual and spatial displays that arrange information graphically so that key concepts and the relationships among the concepts are displayed" (p. 287). Depending on the learning strengths or challenges of students, graphic organizers can present information in the linguistic form of print, the nonlinguistic form of pictures or symbols, or a combination of print and symbols. Graphic organizers also can be presented to students in blank form. Students can use the forms to organize and construct specific assignments, or they can gather and organize new information on their own and in cooperative learning groups. In any of these modes, graphic organizers provide students with a strategy to clarify their thinking and process, organize, and prioritize information (Smith & Smith, 2006). Brain research suggests that forming mental images is very helpful for students as they work on cognitive tasks (Hyerle, 2000). Our personal memories are linked and affected by images. With every image we create, each mental picture is unique. When students create and use mental images to form interpretations, clarify their thinking, and assist in understanding, they are deepening their understanding and creating new knowledge. Figure 1.7 shows an example of an advance graphic organizer that includes information from this chapter that you can use before reading this section to broadly organize your thoughts and ideas. A partially completed organizer is another option that could be presented to students during the learning process. A blank organizer can be given to students after reading or following instruction to help them recall information. Finally, completed organizers can be used later in the learning process for review and reflection (Bursuck & Damer, 2007). Graphic organizers can be made in an endless number of configurations such as mapping, mind maps, clusters, and webbing. Some of the most commonly used graphic organizer configurations include Know-Want-to-Know-Learned (KWL) charts, Venn diagrams, and story maps. David Hyerle's Thinking Maps (2000) are used effectively in many schools and are effective learning contexts for students. Some examples of thinking maps include the circle thinking map, the bridge map, the bubble map, the double-bubble map, and the cause and effect map. Due to the fact that there are a myriad of graphic organizers, it is helpful to think of graphic organizers as an overriding concept with many configuration options. Graphic organizers can be constructed in many sizes or shapes. These organizers can be used in a preprinted format, configured in a small format for personal desktop use, displayed on a classroom wall, constructed with paper, connected by yarn to represent different lines, or used with actual objects to complete the configurations. Technology offers many options for creating graphic organizers. Inspiration is a software program that helps you design graphic organizers with the click of a mouse. The program comes with an extensive image file and you can import your own images. The graphic organizers from Inspiration can be printed in many sizes or projected on a screen or wall using a computer. This program also allows you to add links within the graphic organizer to Web sites, audio files, and podcasts. In addition, Inspiration will compile the information into a traditional outline format without graphics. These organizers can be used with screen readers for students with literacy and reading challenges. It also provides a conversion program that allows you to translate your organizers into different languages. In Mr. Jones's classroom, he can use graphic organizers with his students in a variety of different ways. For example, he could differentiate his instruction by utilizing a partially completed graphic organizer for one activity and providing instructional materials at different reading levels for his students. Shalandra would benefit from using more complex materials while Juan would gain value from graphic organizers that are embedded into the precepts of multicultural education. Juan could articulate and record what he knows and wants to learn about a topic over time. This information could be posted in the classroom on a wall-sized organizer and used for review (Okolo, Ferretti, & MacArthur, 2005). Identify the content to be taught with the graphic organizer. Once the content is identified, the graphic organizer can be used to help students focus on the salient elements of the content and graphically show how these elements are related. Select the graphic organizer that best fits the content. For example, if you are teaching students about a specific process, a flow chart may be the best way to present this information. Fill in the graphic organizer prior to using it in instruction. This helps to ensure that the information you plan to present is clear and accurate. Create a blank map to be used with your students for instruction. This will allow you to model how to use the graphic organizer. First, students should be taught what type of content is typically displayed in a specific graphic organizer. For example, the first time a flow chart is used, you can present a blank flow chart, show students how to write the steps of a process in the blank squares of the diagram, and explain that the arrows in between the squares show the order in which the steps occur. You can also explain that flow charts are typically used to show the sequence of events in a process. Although graphic organizers are appropriate for all grade levels, simple formats such as Venn diagrams should be used with primary students. Likewise, for younger learners, it may be best to use a limited number of graphic organizers. As learners mature, you can add different types and more complex graphic organizers. Graphic organizers can be used before, during, or after instruction. Prior to instruction, teachers can give their students a completed graphic organizer to help them establish a mental framework for new content. During a class discussion, a graphic organizer can help students outline the discussion, capture important concepts, and show the relationships between concepts. Individual students or groups of students can use a partially completed graphic organizer to review important concepts and illustrate how these concepts are connected. After students have experience using graphic organizers, they can create graphic organizers on their own to display concepts or vocabulary discussed in class. Although teaching standards in inclusive classrooms with diverse learners is a complex task, there are instructional methods that can be used effectively to reach this goal. Multiple intelligences, cooperative learning, tiered lessons, learning centers, and graphic organizers are powerful instructional methods that integrate differentiated instruction, universal design, sheltered instruction, and multicultural education and allow teachers to simultaneously address the needs of a wide variety of learners. There is no need to have a separate set of methods for each type of learner in your classroom. 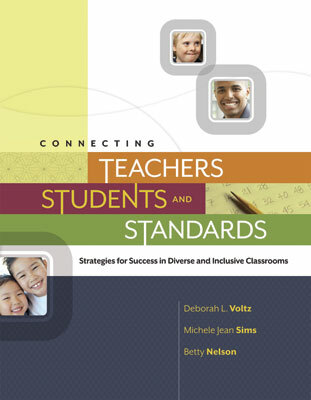 Successful implementation of standards-based reform in diverse and inclusive classrooms depends upon your ability to integrate the instructional methods that will help you reach a broad spectrum of learners. Chapter 2 will extend this discussion and focus on the materials of instruction. The instructional materials that can be used to provide greater access to content and greater engagement in learning for diverse students will be explored in more depth. Armstrong, T. (2009). Multiple intelligences in the classroom. Alexandria, VA: ASCD. Bellanca, J. (2008). 200+ active learning strategies and projects for engaging students' multiple intelligences. Thousand Oaks, CA: Corwin Press. Campbell, B. (2007). Handbook of differentiated instruction using the multiple intelligences: Lesson plans and more. Boston: Allyn and Bacon. Moran, S., Kornhaber, M., & Gardner, H. (2006). Orchestrating multiple intelligences. Educational Leadership, 64(1), 22–27. Concept to Classroom:http://www.thirteen.org/edonline/concept2class/. This site provides implementation ideas, lesson plans, and video clips. Gillies, R. M. (2007). Cooperative learning: Integrating theory and practice. Los Angeles: Sage. Jacobs, G. M., Powers, M. P., & Lol, W. I. (2002). Teacher's sourcebook for cooperative learning: Practical techniques, basic principles, and frequently asked questions. Thousand Oaks, CA: Corwin. Jolliffe, W. (2007). Cooperative learning in the classroom: Putting it into practice. Los Angeles: Sage. Schniedewind, N., & Davidson, E. (2000). Differentiating cooperative learning. Educational Leadership, 58(1), 24–27. ASCD. (2005). Getting results from cooperative learning video series [Video]. Alexandria, VA: Author. Adams, C. M., & Pierce, R. L. (2006). A practical guide to tiered lessons in the elementary grades. Waco, TX: Prufrock Press. Levy, H. M. (2008). Meeting the needs of all students through differentiated instruction: Helping every child meet and exceed standards. The Clearing House, 81, 16–166. Pierce, R. L., & Adams, C. M. (2004). Tiered lessons: One way to differentiate mathematics instruction. Gifted Child Today, 27(2), 58–65. ASCD. (2003). Instructional strategies for the differentiated classroom: Tiered assignments [Video]. Alexandria, VA: Author. MBUSD Tiered Lesson Plans:http://www.manhattan.k12.ca.us/staff/pware/diff/. This site provides sample tiered lessons at the elementary, middle, and high school levels in multiple subject areas. Tiered Curriculum Project:http://www.doe.in.gov/exceptional/gt/tiered_curriculum/welcome.html. This site provides sample tiered lessons at the elementary, middle, and high school levels in multiple subject areas. Rice, D. H. (2004). How to manage learning centers in the classroom. Westminster, CA: Teacher Created Resources. Jarrett, O. (2010). "Inventive" learning stations. Science and Children, 47(5), 56–59. King-Sears, M. E. (2007). Designing and delivering learning center instruction. Intervention in School and Clinic, 42, 137–147. Stephens, H., & Jairells, V. (2003). Weekend study buddies: Using portable learning centers. Teaching Exceptional Children, 35(3), 36–39. ASCD. (2004). Instructional strategies for the differentiated classroom: Centers [Video]. Alexandria, VA: Author. Internet for Classrooms:http://www.internet4classrooms.com/classroom_organization.htm. This site includes tips for center use and provides example centers at the elementary, middle, and high school levels. Burke, J. (2002). Tools for thought: Graphic organizers for your classroom. Portsmouth, NH: Heinemann. Drapeau, P. (2009). Differentiating with graphic organizers. Thousand Oaks, CA: Corwin. Baxendell, B. W. (2003). Consistent, coherent, creative: The three C's of graphic organizers. Teaching Exceptional Children, 35(3), 46–53. Gallavan, N. P., & Kottler, E. (2007). Eight types of graphic organizers for empowering social studies students and teachers. The Social Studies, 98(3), 117–123. Gill, S. R. (2007). Learning about word parts with Kidspiration. The Reading Teacher, 61(1), 79–84. Struble, J. (2007). Using graphic organizers as formative assessment. Science Scope, 30(5), 69–71. ASCD. (1999). How to use graphic organizers to promote student thinking [Video]. Alexandria, VA: Author. Teacher Tap:http://www.graphicorganizers.com/downloads.htm. This site provides many types of downloadable graphic organizers. Education Oasis:http://www.educationoasis.com/curriculum/graphic_organizers.htm. This site provides many types of downloadable graphic organizers. CAST:http://www.cast.org/publications/ncac/ncac_go.html. This site provides information about different types of graphic organizers. Graphic.Org:http://www.graphic.org/index.html. This site provides downloadable graphic organizers and links to other sites.